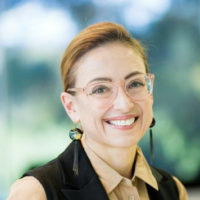 Dr Rachel David is CEO of Private Healthcare Australia. She was a medical adviser to the Federal Minister for Health between 1996 and 2000, and subsequently held senior positions with CSL Ltd, McKinsey & Company, and Johnson & Johnson before taking up her current post in 2015. Australia’s mixed private – public health system is highly regarded by the Australian community. The private and public sectors are intrinsically interconnected and private health insurance is embedded in Australian culture. Repeated large surveys (IPSOS 2015-17) show over 80 per cent of Australians with private health insurance value the product and want to keep it. Private health insurance is a critical element of Australia’s health care system. PHI pays for close to two thirds of essential non-emergency surgery in Australia, 90 per cent of day admissions for mental health care and 50 per cent of all mental health admissions, 70 per cent of joint replacements, 60 per cent of chemotherapy and 88 per cent of retinal procedures take place in the private health sector. In addition, under ancillary (extras) cover, health funds pay out more than $2.5 billion for dental care, more than the Federal Government and 90 per cent of dental health services provided to low and middle income earners are subsidised by health funds. Our mixed public-private health system is well-regarded in terms of clinical outcomes. We enjoy the fourth highest life-expectancy in the world and are among the best in terms of other outcomes like infant mortality. There is concern among Australians however around the issue of health system sustainability. In Australia 44 per cent of people believe the mixed public and private health system will not be around in 15 years, and 52 per cent of people are not confident the public hospital system will be around in its current form in 15 years. This unease is driven by the fact that inflation of health input costs has risen at a rate much higher than CPI over the last decade, which in turn increases pressure on premiums and therefore household budgets. Australian health funds are committed to working with the Government to improve the sustainability and affordability of the private health sector and to continue to reduce upward pressure on premiums. Premiums increase due to inflation of input costs, including hospital accommodation, medical devices, medical specialist gaps and allied health costs. This year the Government announced an average premium increase of 4.84 per cent, the lowest increase in a decade, reflecting the commitment of the industry to delivering affordable healthcare. The sector has done this by passing savings from the Government’s PHI reform process back to members, and by introducing efficiencies. The premium increase is necessary to ensure health funds stay ahead of rising health costs and that fund members continue to get value for their investment. Funds paid a record $19 billion in benefits in 2015-16 which will increase to $20 billion in 2016-17. Of every dollar of premium income, 86.1c is returned to members as benefits, a rate which exceeds that paid by other insurance sectors. While Australians value their private health insurance, market research has repeatedly shown premium affordability is the main reason deterring people from taking out PHI, and premium increases are the main driver of dropouts and downgrades from existing levels of cover. Private Healthcare Australia believes that policy change is urgently needed. Some of the regulatory measures that apply to the private health sector are no longer relevant and have inflated costs and decreased the efficiency and transparency of the sector. By eliminating waste in healthcare and revisiting outdated legislation that is reducing market transparency and competition, we can put downward pressure on premiums and consumer out-of-pocket costs. While the sector understands the climate is not right for the introduction of sweeping or fundamental reform of Australia’s health system, there is scope to address the sustainability of healthcare through sensible policy correction. The PHI industry has identified practical and achievable policy adjustments that will ensure the sustainability of the Australian health system in to the future and has made a number of recommendations to Government ahead of the 2017-18 Federal Budget. The value of the PHI rebate has been eroded in recent years as a result of regulatory changes aimed at controlling Government outlays. Not only is net expenditure on the rebate declining, if health inflation continues at the current rate, the value of the rebate as a percentage of the premium will be 16 per cent in a decade. In the interests of affordability for low and middle income earners no further changes should be made to the rebate on PHI premiums for either hospital or ‘extras’. Currently the Government regulates the benefits health funds pay when an implantable medical device or ‘prosthesis’ is used in a procedure. The effect of benefit-fixing has meant that private health fund members now pay two to five times what public hospitals, and those in comparable economies pay for medical devices. This is reflected in premium increases. The Government made some progress but reform of prostheses list price-setting by the Commonwealth must progress rapidly in 2017-18. Public hospital cost shifting or transferring the costs of incurred service to health funds in Australia is in the order of $1 billion dollars per annum. This accounts for about 6 per cent of premiums. PHI policyholders are subsidising the costs of public hospitals, despite having already contributed to these through their taxes. Public hospital cost-shifting to health funds adds more to premium costs than the average year’s premium increase. PHA supports the Government’s MBS Review as every dollar of waste and every episode of inappropriate practice threatens the sustainability of private health. The Federal Government should also review legislation preventing private health insurance from covering medical services that are provided out-of-hospital and covered by Medicare. This has the potential to reduce unnecessary hospitalisations for people needing minor procedures and those with chronic health conditions, a key factor in keeping premiums down. Healthcare reform is not an easy undertaking and in the current political environment there will be pressures from stakeholders across the country. There will be winners and losers but the Government’s PHI Reform process must deliver real change to improve the affordability and value of private health cover. There’s no alternative. Private health insurance takes the pressure off the public hospital system and ultimately benefits all Australians. Private Healthcare Australia is the Australian private health insurance industry’s peak body, representing 19 registered health funds and collectively 96 per cent of people covered by private health insurance. These funds provide healthcare benefits for more than 12.8 million Australians.